The Classic and Passport are both essentially the same OS and hardware with a different skin. The OS is BB10 - the QNX Microkernel architecture that Blackberry acquired from Harman International in 2010. The PRIV is different - it's Android with some Blackberry apps that have been ported - Password Keeper, Calendar, BBM and a few others. Having been used to working with BB OS7 I see that there is a learning curve to adoption of Android. The challenge is that a lot of the features that are within BB OS7 are implemented in different and/or worse ways. Some are better though! I would normally use Sounds and Alerts to allow specific users to have individualised ringtones and alerts. So I can silence all calls apart from a chosen few. In PRIV this is done by adding a "star" to a contact such that within Settings > Sounds and Interruptions > Interruptions a call from from that contact is then treated as a "priority interruption". Very similar functionality, just different implementation. The content transfer tool does not transfer bookmarks. So you have to rekey. The old limitation of 32gig is gone and in theory the device can support a 2TB microSD card. At time of writing no-one is making any above 512GB. I have fitted a 128GB card to my PRIV and it's working well so far. Mixed results so far. To get the quoted 22.5 hours life I expect you have to be careful setting up email polling to be infrequent and to ensure that vibration and keyboard noises are switched off. The 3410 mAh battery is very large, for comparison an iPhone 6S+ is 2750mAh. The PRIV applications seem to draw power down rapidly - internet browsing uses about 1% of battery per minute browsing (of course, depends on how quickly you move between pages and so on, so this is a very unscientific metric). This is one area where PRIV wins in a big way. Everything on Google Play is available, so most of the applications that you would want are there. The PRIV supports the Qualcomm QuickCharge 2.0 standard. Sadly this is not a well known standard - five mobile phone shops I visited had never heard of it and certainly did not stock the charger. Oddly, mobilefun.co.uk stocks a Blackberry official QuickCharge 2.0 charger whereas shop.blackberry.com does not stock any of these chargers. A nice tool from BB OS 10 is Blackberry Blend which is not (yet) available on PRIV. If this was available it would make adoption of PRIV a lot more user friendly for folks from a BB OS 10 usage heritage. To delete calendars from the device the user deletes the account that refers to the calendar. While playing around with the PRIV I managed to end up with a duplicated calendar which could not be deleted. I ended up performing a factory reset and rebuilding from scratch. This is annoying and a pretty buggy behaviour. On the 9900 you could use the volume up and volume down keys to also move to the next track or previous track. Not possible with PRIV. The music player is not great and needs to be improved but it's not a critical issue for the business focussed client base for Blackberry. In the PRIV and the Bold 9900 there is no way to delete all contacts. This was not needed in the Bold 9900 but if you port over your local contacts you soon realise that the better way to do this is using google address book. And so you find you cannot delete all your contacts at once. Within the Contacts application there is no way to add an anniversary or birthday. If these fields are added within the web based gmail account to which you synchronise contacts then they are imported to the PRIV, but you cannot create these fields on a contact record. Annoying. There is no way at all to import passwords from Bold 9900 Password Keeper to PRIV Password Keeper. You can take a round trip Bold 9900>BB OS 10>PRIV but I don't have an OS 10 phone. So you have to rekey. This is very annoying. If the answer to everything with PRIV is "use google services" then why bother with the extra cost of the Blackberry and why not buy a generic Android? The PRIV uses the Material Design UX paradigm. I think it's great for regular users but lacks the feature set for a power-user. 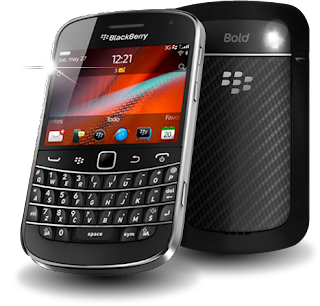 Anyone who was a regular Blackberry user would often end up a power-user to maximise their productivity. The Material Design UX is very much centred around a developer centric workflow paradigm. It forces the user to work in a certain manner which is frustrating unless you embrace it wholeheartedly and "do it the google way". It's a form of corporate arrogance which is unpleasant. The blackberry slide-out keyboard can sometimes get stuck and stop handling gestures. Have to close the keyboard and re-open to get this feature working again. 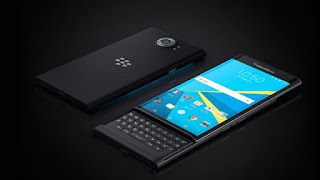 In summary, the PRIV is a decent Android phone that needs further refinement from Blackberry developers. If they can keep up the pace of new feature build and bug fixes then within a few months they'll have a very good device on their hands. Sadly though the original release of the product has a "ship-it, quickly" feel in some areas.